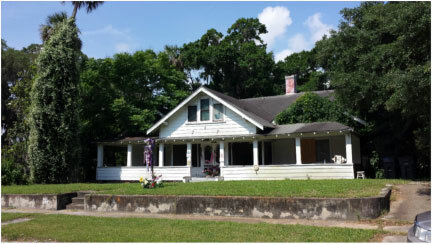 The North Brevard Heritage Foundation, Inc. was organized with the primary focus to actively promote and facilitate preservation of historically significant structures and sites. We offer alternatives to demolition when structures or sites are threatened with loss due to neglect & deterioration, code enforcement violations, or new site development. 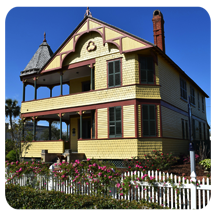 By providing an alternative, the Foundation promotes increased public awareness and participates with the public, businesses, government and non-profit organizations who are interested in preserving historically significant structures and sites in North Brevard County. 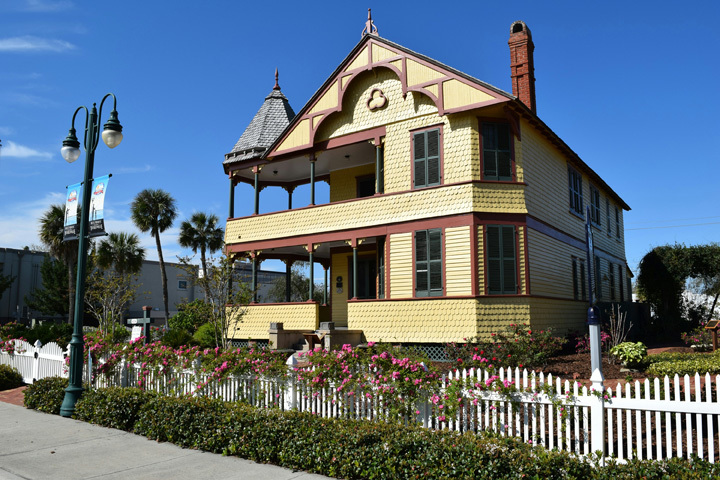 The historic Pritchard House is a fine example of Queen Anne style architecture and appears much today as it did when it was built for Captain James Pritchard in 1891. The historic Pritchard House is open to the public as a house museum. Both the house and gardens are available as rentals for special occasions such as birthday/anniversary parties, bridal showers/weddings, business /organizational activities. The Foundation holds many interesting activities that are open to the public, including docent lead tours, "notable" afternoon teas, special events and exhibits of their extensive collections. Will be a collection of restored historical & replicated structures of diverse architectural styles. It will Interpret the story of the people & life styles by developing a visual timeline - from Native Americans to Early Settlers - and development of the Citrus & Fishing Industries, Agriculture and other Scrubland Industries of North Brevard County through interactive educational programs, activities, events and hands-on experiences. Brevard Heritage Park was a collaborated project of Brevard County, Brevard Community College (EFSC), Parrish Foundation, and the North Brevard Heritage Foundation, Inc. The Park was originally planned to be located on property owned by Brevard Community College at the Chain of Lakes, but was "postponed" due to change in politics, administration and funding issues. Several structures, artifacts, collections and building materials are stored in a secured area at the Chain of Lakes. The North Brevard Heritage Foundation, Inc. continues to work with the County to find a suitable site for Brevard Heritage Park. We will need corporate sponsorships, and in-kind services and labor of carpenters, plumbers, & electricians to make this a community project that will promote eco/heritage tourism and provide a hands-on educational experience. built by African Americans for their children. Originally located on North Merritt Island and discovered in 2003 in a remote wooded area, north of the Haulover Canal. All that remains of a larger complex of tenement houses built for African -American citrus grove & RR workers, owned by William & Kate Gibson. Originally located on Palm St. across the street from Government Center on South Street, Titusville. 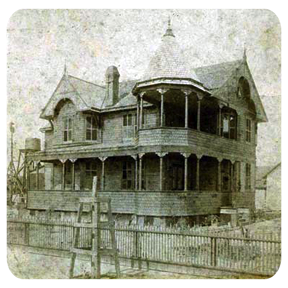 This house was the "main camp" for grove workers of the Oliver Family who migrated from Missouri in the early 1870s and homesteaded an area known as Turnbull Hammock. It was later sold to J.J. Parrish & used as grove caretaker's house. It was located on Jay Jay Rd. in Titusville. made of recycled materials and sawmill heart pine lumber. Originally located on corner of Parrish Rd. & Singleton Ave. in Titusville. Chief's Long House & Family House (bohios) constructed of log pole frame and thatched with palmetto fronds. 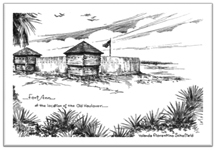 Design will be similar to Fort Ann, a Seminole Indian War Fort that was located on North Merritt Island near the old Haulover Canal in 1837-38. 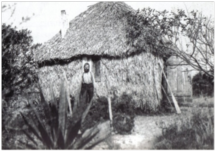 First house was constructed of wood frame & thatched palmetto fronds, scavenged from land clearing. was wood frame built of heart pine or cypress cross-sawed lumber. Usually board & batten on outside, sometimes clapboard, and sat on coquina rock, stone or brick piers and sometime logs. The North Brevard Heritage Foundation was instrumental in saving this historic structure from code violations and possible demolition. We worked with members of the Carter family and the City of Titusville to resolve code violations. After transferring the property by quit claim deeds, we assisted the North Brevard Charities and Sharing Center in acquiring the property. It will be rehabilitated for community adaptive reuse.